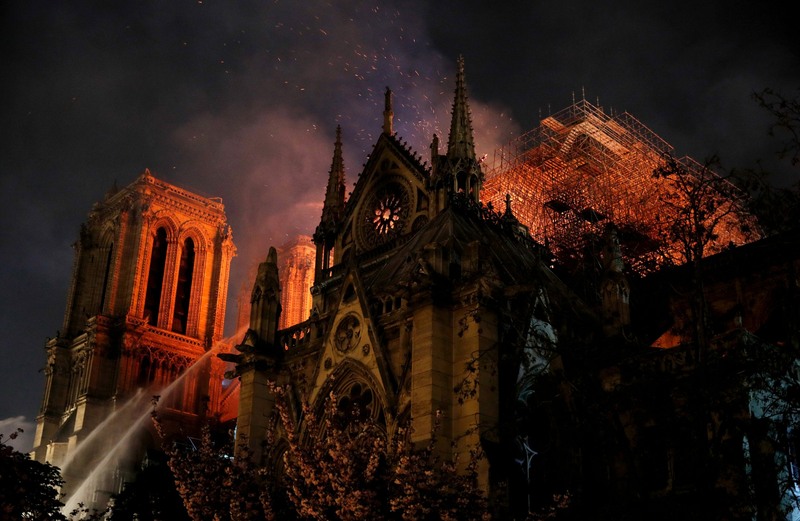 Should Disney make a donation for the rebuilding of the Notre Dame Cathedral? I hope money can save it. Weren't there rumours about a Hunchback live action being made - if so maybe they should make some sort of contribution with then a % of all ticket sales going towards it. If it was in the pipeline maybe it will be rescheduled due to location not being available. Boy was this sad. It's a gorgeous cathedral. Had the honor of having mass there a few times. lol darn near had a heart attack climbing up to see the gargoyles. It would be good PR for them - for sure - so it would be a wise move. Those staircases are an adventure, ain’t they?? Religion is involved, so there's sure to be someone who disagrees with it. 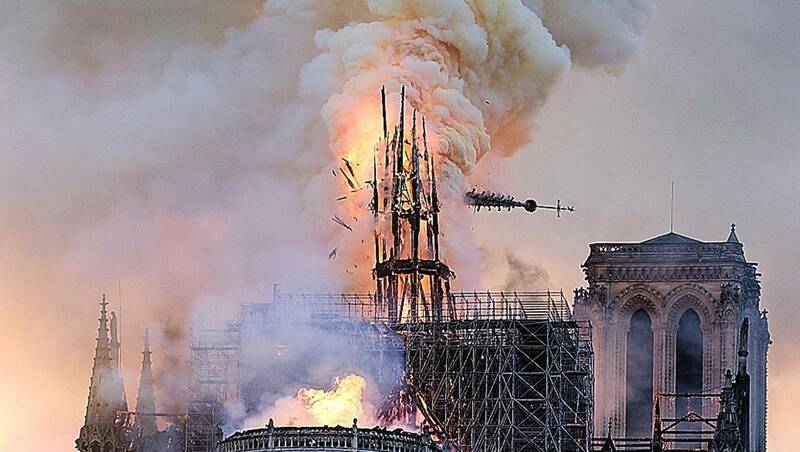 Separate from that, it's an architectural masterpiece that should be restored. As a shareholder, I support them contributing to the rebuild. DLP should play a role too, naturally. Disney has been very wise to avoid the “R” word in the last few decades. That’s the right call. But this is world heritage type historical site. Based on Disney’s catalog and their beautiful Disneyland in France...it makes sense to provide assistance. I hope the contractor that started the fire has good insurance. The $100,000,000,000 general liability clause?? ...what’s FMV on a crown of thorns? The crown is reportedly safe. But my guess is that some general contractor went out of business at 5:47 CET last night. Is Hunchback of Notre Dame in the Vault? If so, maybe re-release it, with all proceeds going to restoration efforts? However, I do echo a few comments above that, unfortunately since it's a religious building, that there would be a Twitter uproar. Although, it would be nice to see a major corporation not care about, for lake of a better term, the chronically offended PC police on Twitter. Who would begrudge any person or entity donating to rebuild a world treasure? All people are welcome to enjoy Notre Dame whether religious or not. France has been pretty fractured lately maybe this will heal some wounds within the country. Certainly a sad site to see, hopefully good will come out of tragedy. I agree with you there...France has been “inflamed” over energy prices and stagnation for quite some time. Maybe good can come out of it. I have no problem with religious structures being celebrated - as they are historic and cultural benchmarks for humanity as a whole. I think people worry - too much but maybe also rightfully so - about breaking down the 2000+ barriers that major religions were built on. They divide everyone and as the world shrinks and that’s gotta go. I would assume Everyone shares a bit of that general consensus now...if not - you’re left behind. Maybe its time for action, in general, to be taken without consideration of the opinion of Twitter users. Instead of funds Disney should offer engineering help. Who else could not only recreate parts of the church for a ride but with unlimited funds (which this will have) recreate most the detailed wood work. Whatever funds donated come ultimately come from paying guests. Now if Bob Iger wants to donate a sizable chunk of his pay check I'm all for that. Is that just a hunch? Back to the conversation. I heard once, in a sitcom on TV. "Perhaps we should care less about who we offend and care a lot more about who we inspire."